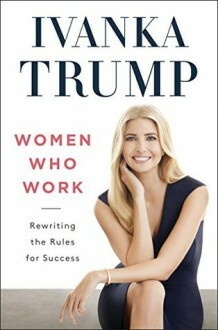 Ivanka is donating the unpaid portion of her advance and all future royalties received from Women Who Work to the Ivanka M. Trump Charitable Fund, a donor advised fund that will make grants to organizations that empower and educate women and girls. * "This is a chatty step-by-step guide to living a happy life and getting ahead in a career." — USA Today "The advice is spot-on for everyone, not just women." —Tony Hsieh, CEO of Zappos.com I believe that when it comes to women and work, there isn’t one right answer. The only person who can create a life you’ll love is you. Our grandmothers fought for the right to work. Our mothers fought for the choice to be in an office or to stay at home. Our generation is the first to fully embrace and celebrate the fact that our lives are multidimensional. Thanks to the women who came before us and paved the way, we can create the lives we want to lead—which look different for each of us.